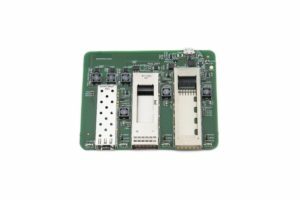 Multiple slots of the same type can be added on the same board for bulk factory programming. 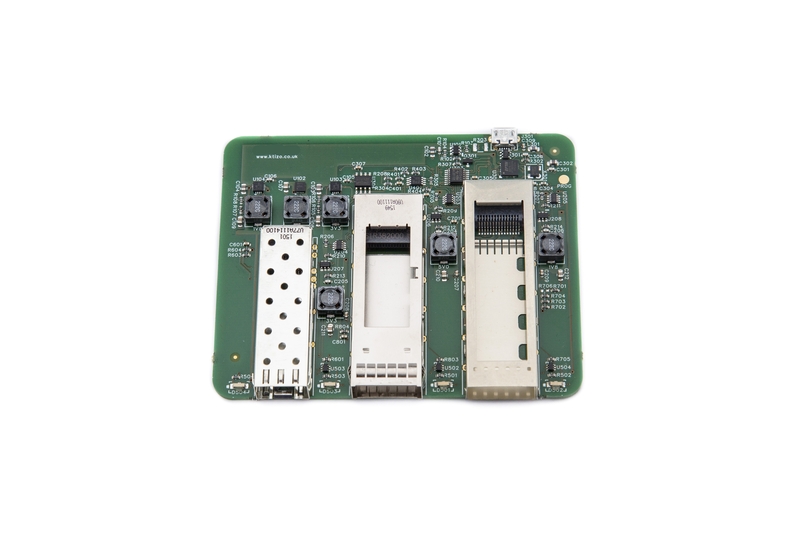 Eg: 4x SFP slots. Cages without retaining lugs are available, allowing optics can be quickly removed without using the de-latch mechanism. Different types of USB interfaces: USB-B for maximum ruggedness, USB-micro for maximum compatibility, USB-C for maximum power. 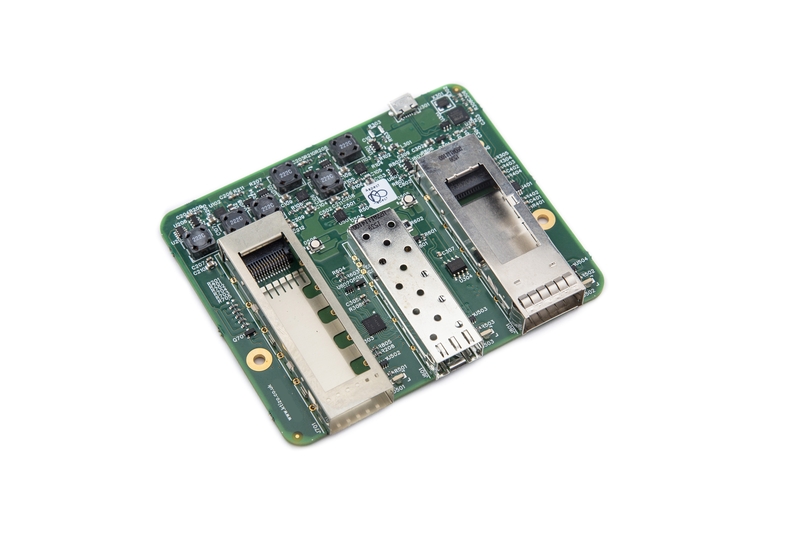 Some optical modules require a hardware “back-door” to be opened, this can be added. E.g. Pulling Mod-Def0 high. All power supplies on the board are compatible with the relevant multi-source agreement. 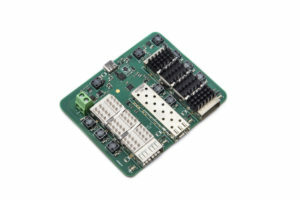 Add optional voltage and current monitoring to each optical module. For higher power optics, use a USB-C connector. For very high power devices, add an external 5V power supply. Add a connector for external fan. Add RGB LED(s) with driver – flashing, colour cycling, “pulsing” effects. You can program this to pulse when the power is on, or change colour when data is being programmed etc. Not sure what you want? Just ask.